This year, we have expanded. We are already working with 42 female inmates in one prison alone. We’ve adapted our program from feedback from the women, ensuring that the workshop is enjoyable and as beneficial as it can be. We have done this by offering training in jewellery manufacture, creating bracelets and necklaces in 14 different designs. This means that the inmates are fully engaged and getting the most they can be from the sessions, hopefully leading to a greater level of impact upon their release. Two female inmates have already reached the level of training where they are able to run the sessions without the support from our team. Alongside this we are working in three schools teaching similar skills to children who are interested in the Sciences, making soaps and chalks. We plan to train the teachers in the schools the skills so they can incorporate the sessions into their teaching. 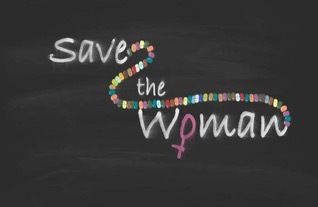 The Save the Woman project is one of a kind, giving hope to the female inmates in Nigeria, that they can find work, feed their families and live a fulfilled life without turning to crime.